Ever wondered what happens with the left over fabric and textile waste from the pattern cutting process when making your clothing? These ‘offcuts’ usually go straight in the bin creating unnecessary waste. At SABINNA we decided to do something about it and are launching limited edition bags that are made from our own offcuts! Judith Bag comes in various different fabrics as it’s mostly made out of dress production offcuts. This means that you can perfectly mix and match it with the SABINNA dresses already in your wardrobe! 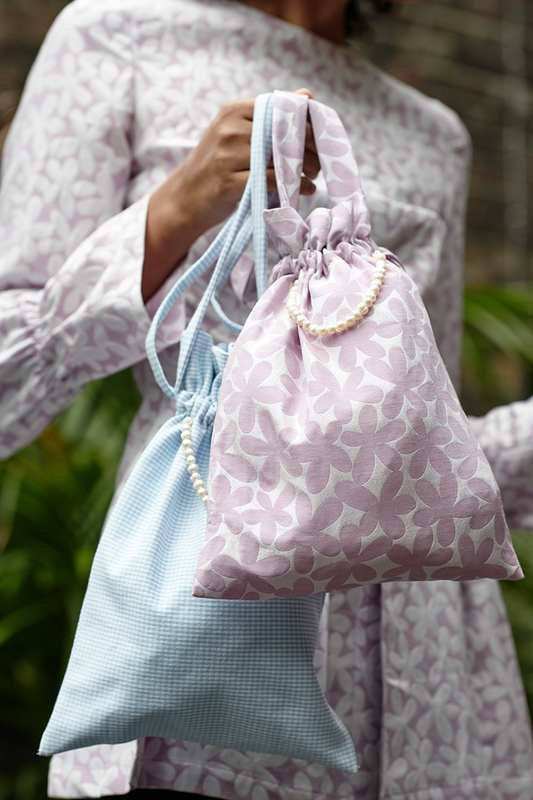 The tiny pearls make the bag suitable for a special occasion but you can easily use Judith as a ‘bag in the bag’ for a larger tote.